One sheriff said evacuation orders were issued through 5,227 emails, 25,643 phone calls and 5,445 texts, in addition to social media and loudspeakers. But some people didn't get the message in time as the fire moved fast. 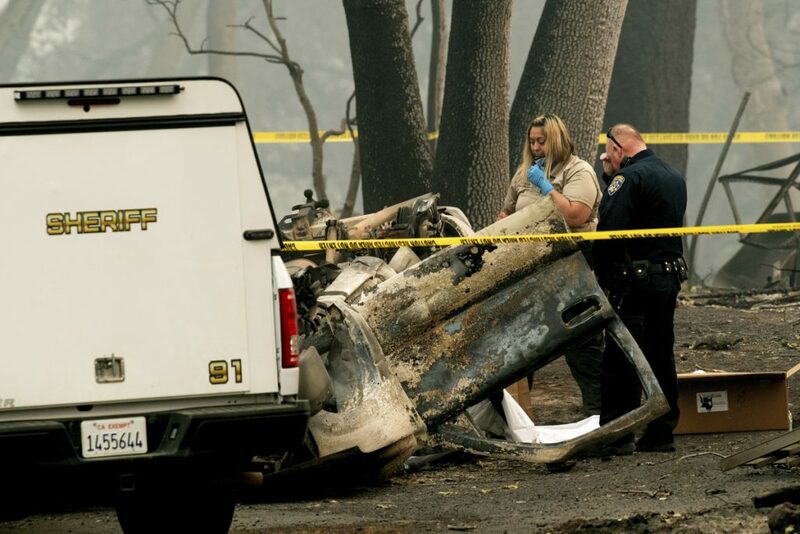 MAGALIA, Calif. – Ten years ago, as two wildfires advanced on Paradise, residents jumped into their vehicles to flee and got stuck in gridlock. That led authorities to devise a staggered evacuation plan – one that they used when fire came again last week. But Paradise’s carefully laid plans quickly devolved into a panicked exodus on Nov. 8. Some survivors said that by the time they got warnings, the flames were already extremely close, and they barely escaped with their lives. Others said they received no warnings at all. 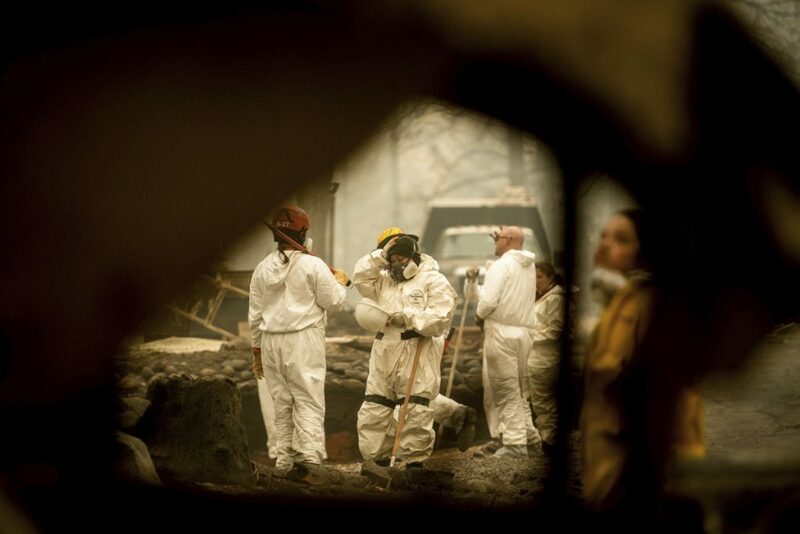 Now, with at least 56 people dead and perhaps 300 unaccounted for in the nation’s deadliest wildfire in a century, authorities are facing questions of whether they took the right approach. It’s also a lesson for other communities across the West that could be threatened as climate change and overgrown forests contribute to longer, more destructive fire seasons. Search and rescue workers rest after looking for bodies of Camp Fire victims at the Holly Hills Mobile Estates on Wednesday in Paradise, California. Thousands of homes were destroyed when flames hit Paradise, a former gold-mining camp popular with retirees, on Nov. 8, in California’s deadliest wildfire. “The fact that we have thousands and thousands of people in shelters would clearly indicate that we were able to notify a significant number of people,” the sheriff said. Mike Robertson, who arrived there on Monday with his wife and two daughters, said he’s grateful for the donations and the sense of community. A Sunday closure “gives us enough time to maybe figure something out,” he said. On Thursday, firefighters reported progress in battling the nearly 220-square-mile blaze. It was 40 percent contained, fire officials said. Crews slowed the flames’ advance on populated areas. President Trump plans to travel to California on Saturday to visit victims of the wildfires burning at both ends of the state. Trump is unpopular in much of Democratic-leaning California but not in Butte County, which he carried by 4 percentage points over Hillary Clinton in the 2016 election. “Gridlock is always the biggest concern,” said William Stewart, a forestry professor at the University of California, Berkeley. Last week, when a wind-whipped fire bore down on the town, the sheriff’s department attempted an orderly, phased evacuation, instead of blasting a cellphone alert over an entire area.